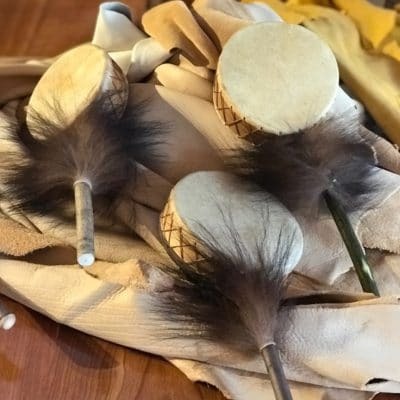 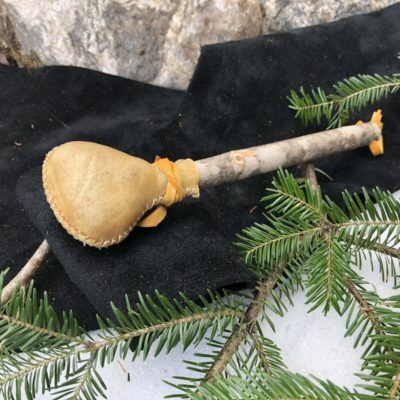 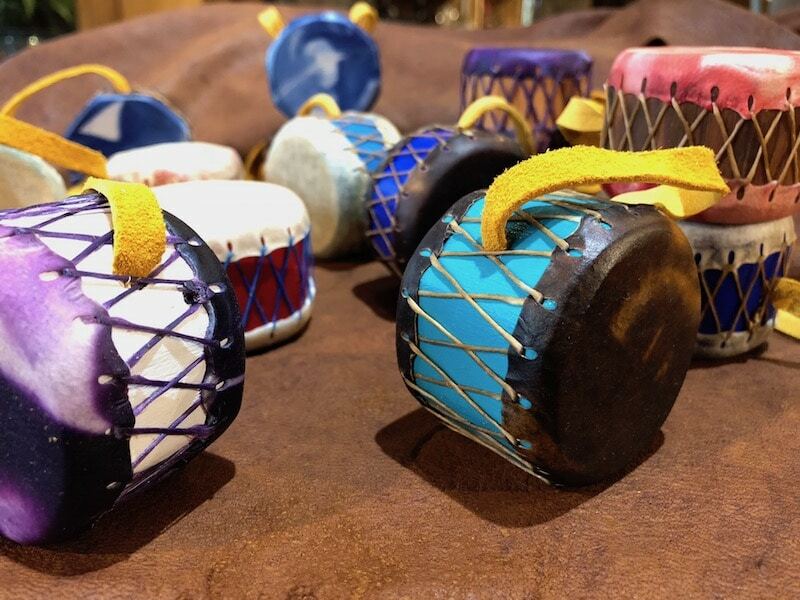 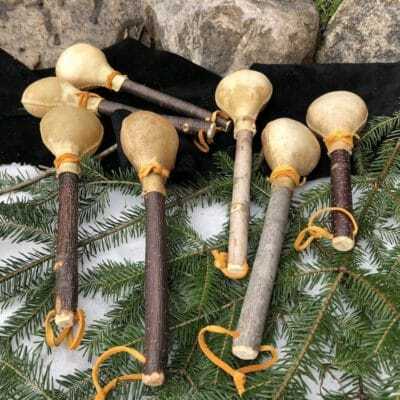 Tribal Spirit – Deer Hide Hand Rattles/Shakers are made with a cherry wood frame and wrapped with deer rawhide. These are small rattles that you can hold in the palm of your hand and play along with the crew . 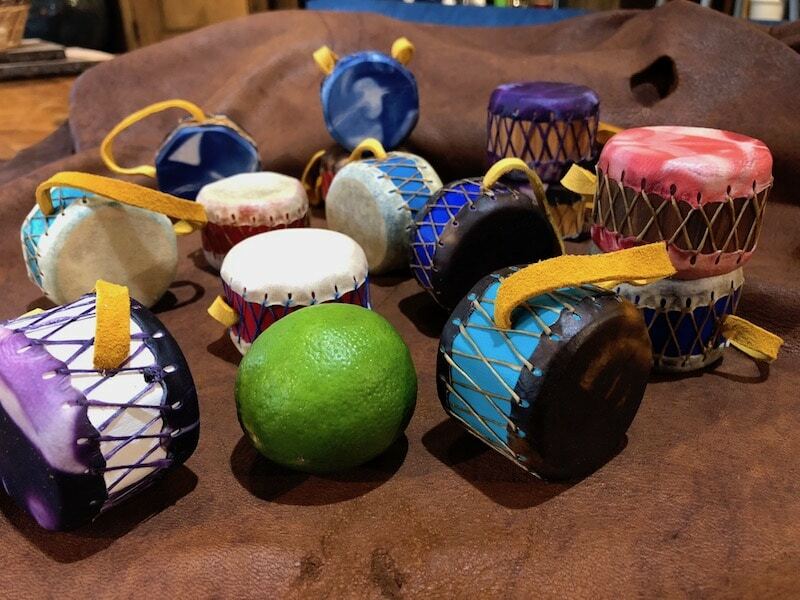 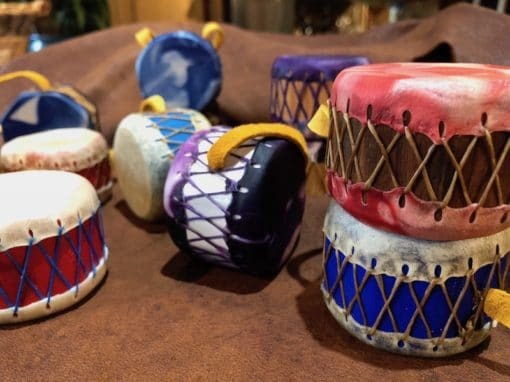 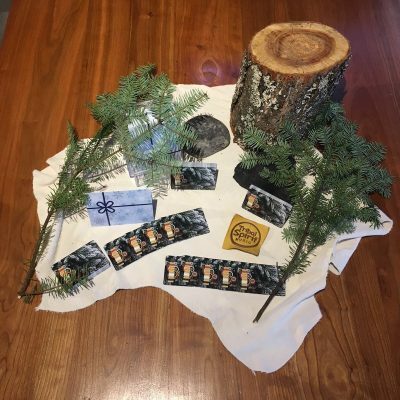 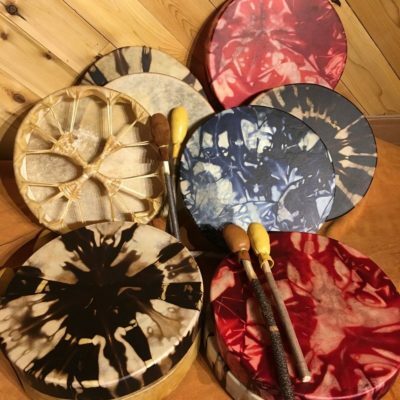 Travel very easy…a nice sound addition to a drum circle. They are filled with copper pellets.